Paranormal investigation equipment - what is it? Inventor Thomas Edison believed in the afterlife, but alas he died before building the device he imagined might detect spiritual activity (see quote above). To this day, with a few recent and unproven exceptions, there is not much equipment designed specifically for paranormal investigation; it is mostly borrowed from other fields, and sometimes adapted. 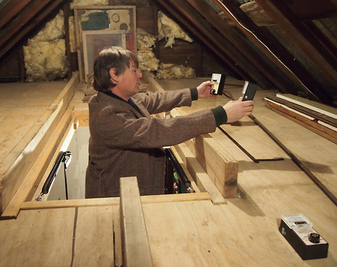 Some recent exceptions are EMF pumps, but the question of whether they are really any use remains open; and Spirit Boxes (modern variations on Frank's Box), devices which we believe have no role in paranormal investigation work. The same applies to the various phone apps now available. Most of these are gimmicks designed for entertainment and/or to make paranormal investigations more exciting. (Things can get pretty boring most nights, like fishing when the fish aren't biting.) And, app sales provide income for their creators, so they want to make them enticing to use. Something to avoid when using this equipment is appearing 'scientifical' - which is how many amateur paranormal researchers such as ourselves can look. Running around with meters, sophisticated camera equipment and other gear and claiming to be engaged in scientific research when no one involved even really understands what it is they're measuring, let alone understands Scientific Method, is being scientifical. 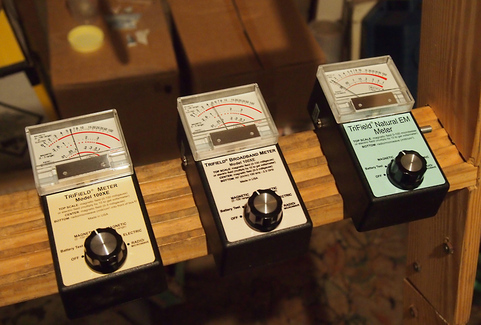 We are often asked about the equipment we use for paranormal investigations. 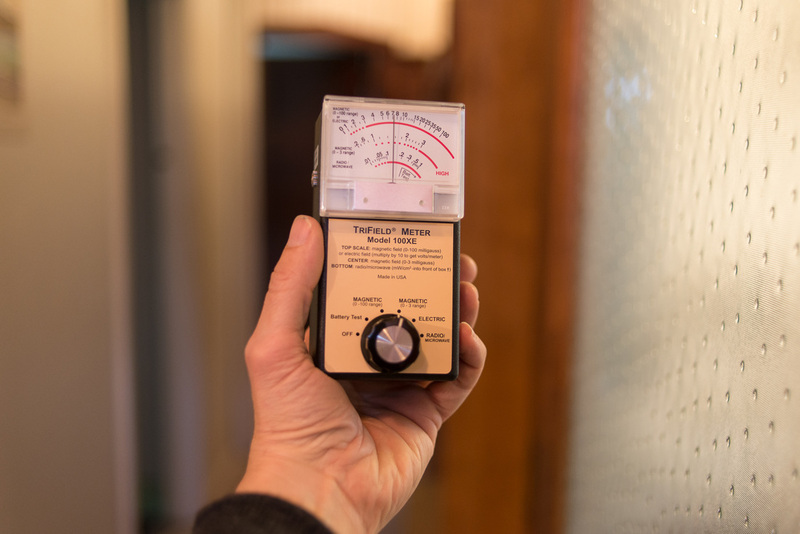 While Strange Occurrence’s leader James Gilberd admits to having a soft spot (or perhaps a fetish) for Trifield EMF and Natural EM meters made by AlphaLab Inc., our team uses much the same gear as other paranormal investigation teams. Most of it is useful for detecting, measuring and recording things in places we are investigating, but none of it can definitely detect ghosts. 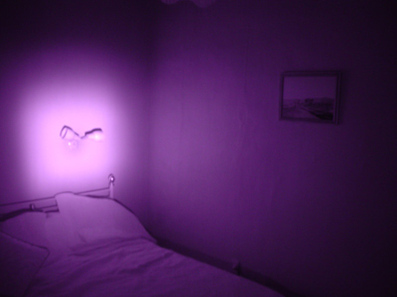 The better we understand an environment, the better chance we have of explaining reported paranormal activity there. Devices that measure and record things, and detect things that are beyond the range of our human senses (such as heat cameras, EMF meters, very sensitive microphones, velometers, vibration detectors) help in this regard. The more we can understand about a site we're investigating, the more naturally-occurring factors we can identify and rule out. And the data we collect forms a useful record for the investigation report and for later reference. We have a "go bag" - basically a photographers' equipment bag - stuffed with tools for a paranormal investigation. It holds Electro-Magnetic Field (EMF) meters, digital thermometers (ambient and directional), digital voice recorders (for note taking as well as Electronic Voice Phenomenon (EVP) work), a digital still camera, a video camera with night mode and IR lamps, geeky head torches, a simple digital weather station, spare batteries, notepad & pen, a multi-tool and a few other bits and bobs. We have also accumulated a bunch of other stuff that can fill the back of an SUV, but it only comes out when we think we need it. This includes the Digital Video Recorder system (basically a home security system of infra-red cameras and a hard drive recorder, with tripod stands and extra IR illuminators). 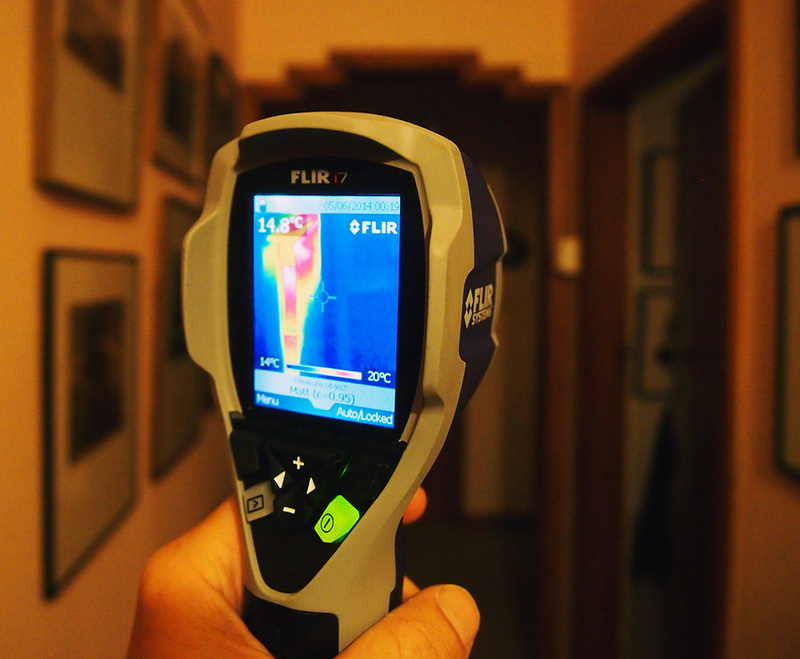 We've even splurged for a FLIR heat camera - a real, physical reminder to never partake in online auctions when you've had a few drinks! This is all your classic ghost hunting gear, as employed by TAPS and other well known paranormal groups you may have seen online. It's all great fun, it gives everyone something to do, and it's wonderful to trot out if we happen to be making a TV appearance! And like a medical doctor's white coat and stethoscope, as well as being practical, they have a certain theatrical value! 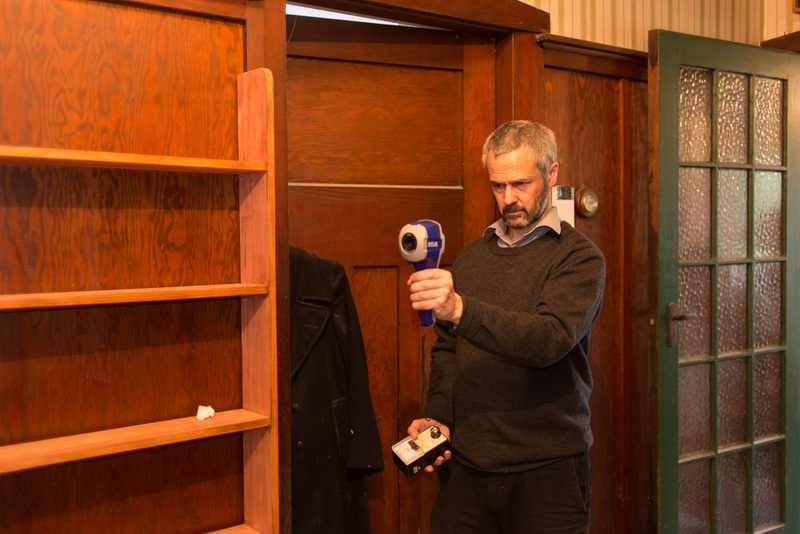 The thing is, impressive as it all seems, none of the cameras, EMF meters, digital recorders, infrared cameras, IR DVR systems, or anything else we use have yet proven effective for capturing images or other traces of ghosts. What we have so far managed to capture has been occasionally extremely interesting but far from indisputable as hard evidence of the existence of ghosts or other paranormal entities or unknown phenomena. The same could be said for recorded evidence collected by paranormal investigation teams and ghost hunters around the globe. For all the countless hours spent filming and recording in reportedly haunted locations over the last few decades, very little of much interest has come to light, and nothing at all that would be convincing evidence for the existence of ghosts to a scientific, skeptical or critical thinking-type person. 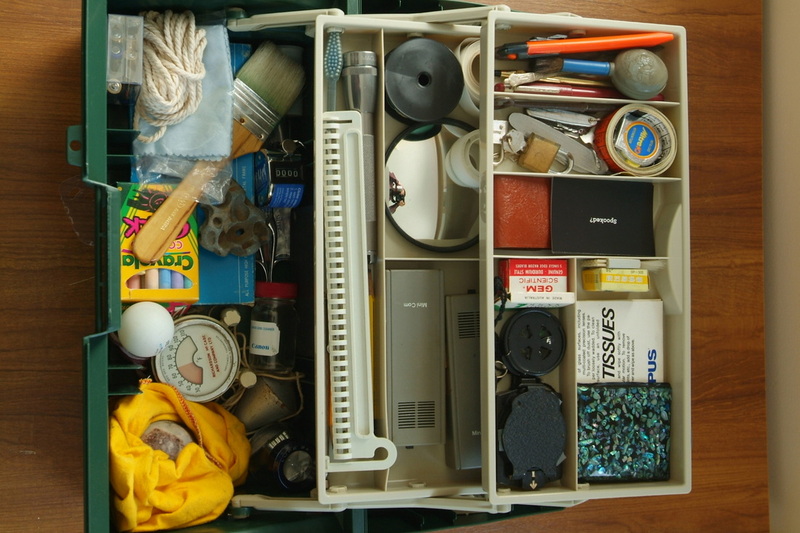 We use the equipment shown here, and more, for gathering environmental information with the intention of discovering natural explanations for reported paranormal activity. We do this without the expectation of capturing evidence of said activity, but if we're lucky enough to do so, then the more different recording devices we have pointed at the thing, the better. We are an optimistic bunch so we always hope we might just get lucky one day and manage to record something really extraordinary. Anything else (within reason) you think we could use.